The mission of the Transportation Department is to provide the safest transportation possible and to start and end each bus rider's day in a positive environment. Washington State Patrol conducts annual bus inspections. Marysville School District has received outstanding results. 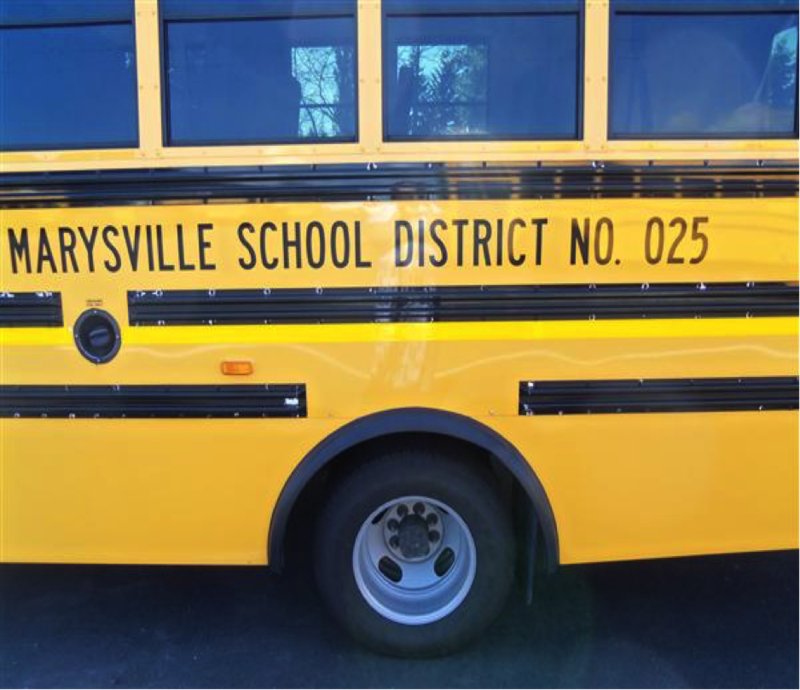 Marysville School District provides bus transportation for students who live outside a one-mile radius of the school or those students who qualify for hazardous walking conditions. The district is also the primary provider for transportation of field trips and co-curricular activities. Please take a few minutes to read and review the “School Bus Transportation Guide for Students and Parents” with your student. Reading the guide will help you make the school bus ride a safe and positive experience for your student. If you have any concerns with your school bus service, please call the Transportation Department at 360-965-0300. Our mission is to provide safe transportation to all of the students that utilize this service. The following directions will assist you in finding the information you need for your student's school and bus information. Note: If the program gives you a bus stop or stops without pick up or drop off times please call transportation at (360) 965-0311. If possible, walk the routes with your children will walk to school to point out potential dangers and safe heavens if they need help. Teach your children to be wary of strangers. Urge your children to walk with a buddy...safety in numbers. Encourage your children to be highly visibly by wearing bright, light-colored clothing. Urge your children to walk against traffic whenever possible. Other than the changes listed on the Limited Transportation Schedule HERE , the buses will maintain regularly scheduled routes wherever possible. Kindergarten, Preschool and special education stops will also adhere to the limited routes above. Buses will run normal schedule for the afternoon take home unless the need for a limited schedule is announced by 1 p.m. If you have questions regarding the limited transportation schedule please call transportation at 360-965-0300.